I really like family traditions. Things you look forward to with anticipation, creating fun memories as a family. Growing up, one of our family traditions was my Dad and I making a big pot of chicken noodle soup every Sunday night after church. We used to mix up a couple of packages of Ramen noodles, some egg noodles, and Mrs. Grasses soup mix (do they even make that any more? I remember it used to have a capsule of liquid bullion that I loved to watch dissolve in the pot). It wasn’t healthy, but it was our special tradition, and to this day, I always think of my dad every time I open a bag of egg noodles or Ramen soup. 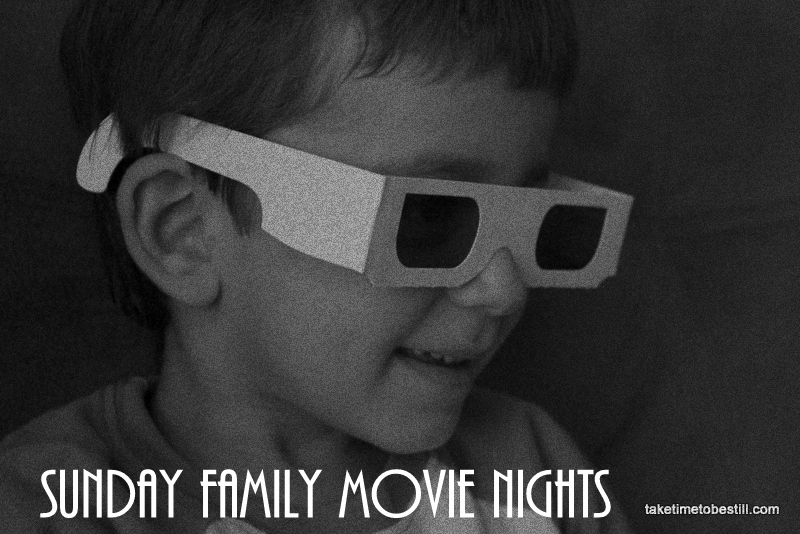 Last year, we started a new family tradition in our family, Sunday Family Movie Night. It started off just being a countdown to Christmas. We started the Sunday after Thanksgiving, watching a different Christmas movie every night until Christmas. But we ended up enjoying the tradition so much that we decided to keep it going. So now we watch a family movie every Sunday night with Mr. 5 after Mr. 2 has gone to bed (he goes to bed at 7, while Mr. 5 stays up until 8:30, just enough time for most 90 minute family movies!). We take turns choosing the movie, and we often pick movies that are based on children’s books that we’ve read. 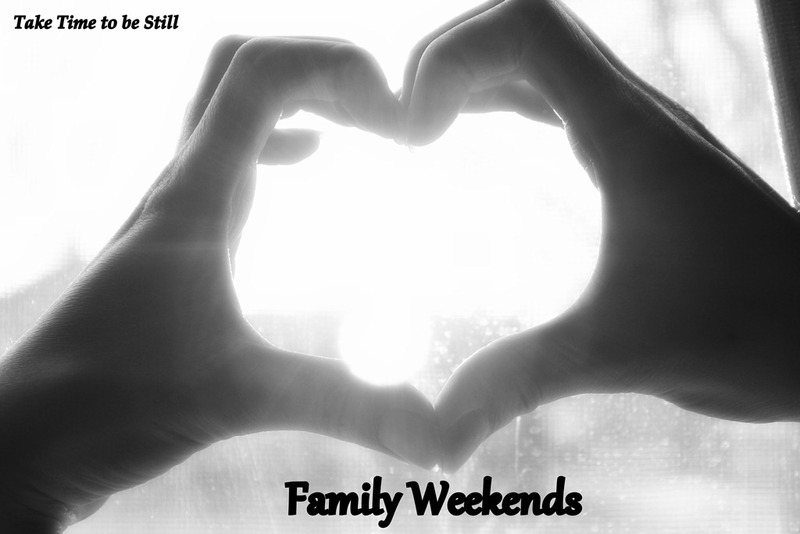 Periodically, in our Family Weekend Spotlight, I’ll be sharing some of the movies we’ve watched and giving you our family review! Tonight’s movie was my husband’s pick. It is one we’ve seen MANY times, but it is still a favorite: Cars. You can read the Dove review by going here and searching for Cars. I really like the Dove reviews because they tell you exactly what language is in the movie, as well as violence, drug use, and more. If you haven’t used it before, it’s a great resource. Another great source for movie reviews is Focus on the Family’s Plugged In. 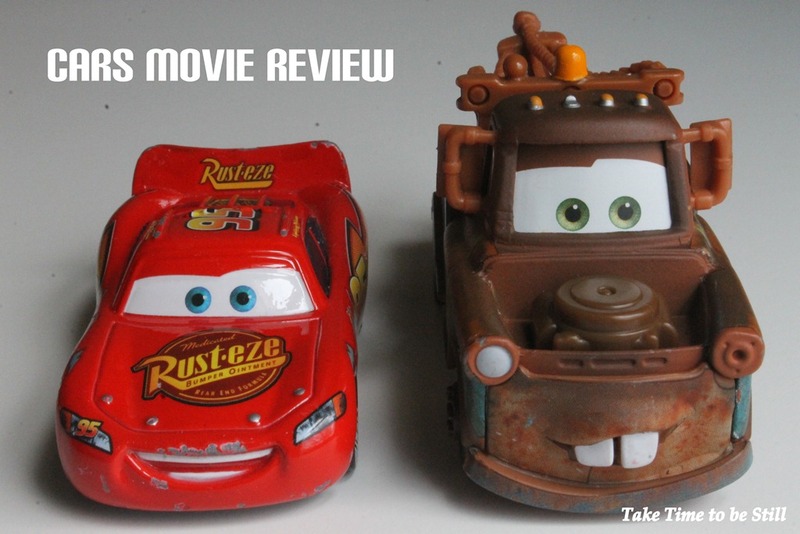 You can read their review of Cars here. We have watched Cars many times. The first time my husband and I watched the first Cars movie was actually before the kids were born. We took a roadtrip down old Route 66 from Chicago to St. Louis. The movie had just come out and we actually watched it at a Drive-In movie theater just off of Rt. 66 in Springfield. How cool is that?! Some of the positive themes in the movie include the importance of friendship, loyalty, caring about others rather than just yourself, being true to your word, and taking time to enjoy life rather than just rushing through. One of the things I like about Pixar’s movies is that they tend to be brighter and more positive than some of Disney’s movies, which can be, at times, very dark and even scary (think about the witch in Sleeping Beauty or Snow White, Jafar the sorcerer in Aladdin, or Scar and his band of hyenas in the Lion King). That’s not to say that those Disney movies don’t have their place, but at 5 and 2, my kids still get scared at those type of evil characters, and I’m ok with waiting until they are older to introduce those movies. The only “bad guy” in Cars is a race car named Chick Hicks, who is obsessed with winning at all costs and who makes snide or sarcastic remarks to the other cars. But his character is actually a good parallel to McQueen who is, himself, obsessed with winning at the beginning of the film. Chick and Lightening show the outcomes of these two paths. While Chick may win the race, it is McQueen who is shown to be the real winner because of his selflessness and sportsmanship. As my boys begin to get to the age where they enter school, want to play sports and be on a team, or participate in other activities, this movie is a good reminder that winning and being the best isn’t always the most important thing. So what do the kids think? My boys love this movie because, well, it has race cars. Talking race cars. What little boy doesn’t love that?! The animation is really amazing, and I love how they made the windshields of the cars as the eyes, rather than the more traditional choice of the headlights. There are other cute elements in the film that parents will pick up on and enjoy, such as the scenery that is all in the shape of cars, or the names of some of the characters being linked to their real-life car names (Mack being a Mack truck, Mia and Tia are Miatas, etc.). Even the bugs that fly around the lights at night are actually VW Beetles! As I watch this movie for the millionth time, I think of how much I can have in common with Lightning sometimes. I too can be very self-focused and so concerned with all the things I have to do that I don’t stop to enjoy those everyday moments. I guess that’s what I’m trying to do here on this blog – helping myself and my readers to take time to be still, think about what matters, and enjoy those everyday moments. The only criticism I have about the film would be the use of the term “hillbilly h–l” and “holy” (as in “holy porshe”) a couple of times. Also, in reading the Dove review, it reminded readers about the dangers of “playing chicken” with a train (which happens in the movie as Lightning races to get across the tracks just as a train is approaching), which is worth mentioning to little ones, especially if (like me) you live near railroad tracks. So all in all, we really enjoyed our family movie night, and I hope you enjoy the movie if you haven’t had a chance to check it out yet. This is quickly becoming one of our favorite new family traditions. What are some regular family traditions you have in your house? 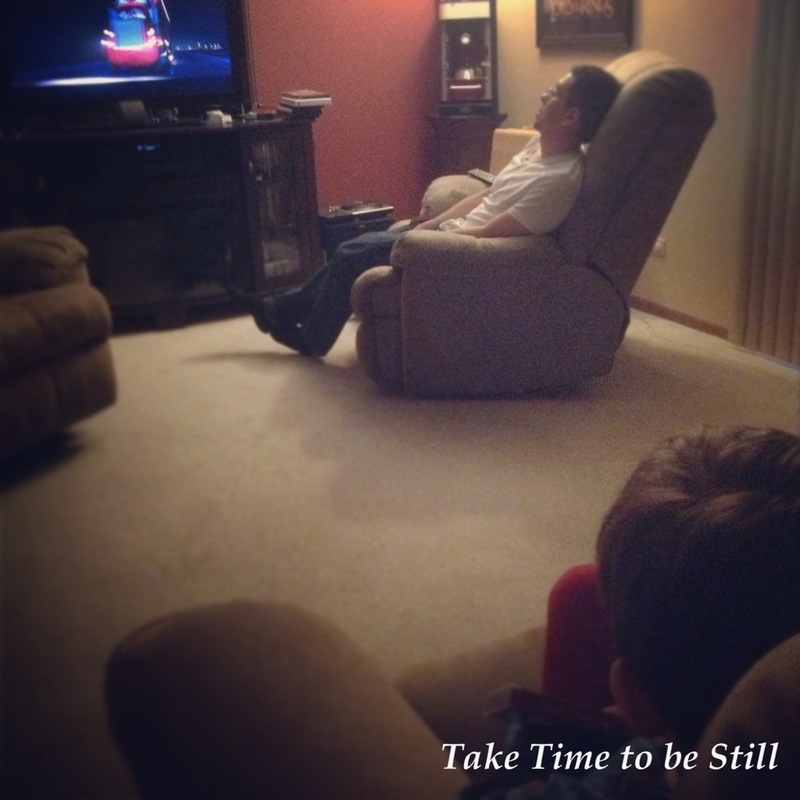 Last week we talked about taking time to be still. 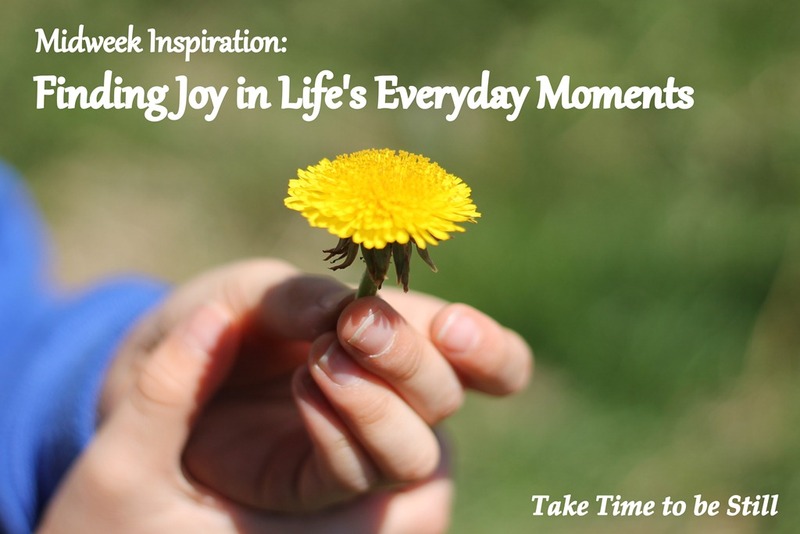 This week, I wanted to share some ideas for putting this into practice, and helping us to find joy in life’s everyday moments. For those of us who are parents, especially moms, it may feel like our talents are being wasted at this stage in our lives. Changing diapers, wiping noses, and making lunches is not always very challenging and can leave us feeling paradoxically overwhelmed and downright bored. We have a lot of things to juggle, but none of them feels particularly fulfilling or challenging. If, on top of all that, we work from home or outside the home, we feel the pressure both in the workplace and with our families, and it can be enough to make us want to just throw in the towel some days. However, God’s word offers us hope. It is there that we find it is possible to find contentment, joy, and peace in these everyday moments. In Philippians 4, Paul says “I have learned in whatever situation I am to be content.” This must ring true wherever we are in our lives. Whether we are facing hardships, living in plenty, or as we’ll see below, just living in those ordinary, everyday moments. When we study Paul we see that he faced a lot of the same difficulties we face today (and more!). While we often focus on Paul’s physical hardships (shipwrecks, beatings, stoning, exposure, hunger, imprisonment, and more; see 2 Cor. 11:23-28), which are things that we probably don’t face on a regular basis (and which deserve a post of their own), Paul faced a number of everyday difficulties too. Did you know Paul had a day job? In Acts 18:1-3 we find that Paul was a tentmaker by trade, and that he worked with Aquila and Priscilla while in Corinth. When we think of Paul, we often think of him as a “super apostle” – someone who spent all of him time just praying and preaching and teaching. We don’t think of him as someone who worked with his hands, trying to balance his service to God with a regular mundane job. Sounds a little more like us, now doesn’t it? Though he had no physical children, Paul was concerned for his spiritual children, especially Timothy, who is often referred to as his son and “true child in the faith.” He urges Timothy to fight the good fight, “holding faith and a good conscience.” As I read some of Paul’s letters to Timothy, I find that much of the advice he gave are words I would speak to my own sons. So when Paul tells us that he has learned the secret of being content in any and every situation, knowing that he has faced both extreme hardships, as well as normal, everyday situations, we should sit up and take notice. He says “In any and every circumstance, I have learned the secret of facing plenty and hunger, abundance and need” (Phil. 4:12). So what is Paul’s secret? Notice the heart attitudes here: rejoicing, thanksgiving, faith in God’s power and timing, focusing on truth, putting these things into practice. It’s a full reliance on God. It’s an everyday occurrence (vv. 4, 6, 13). It’s not “rejoice in the Lord when you feel challenged and everything is going right.” It’s not “do not be anxious about your future, but it’s ok to worry about your to-do list today.” It’s not “I can do great things tomorrow through him, but not the ordinary everyday today.” No. It’s “always…about anything…in everything” That’s for today. That’s for right now. That’s for the big, scary, future decisions and the little, seemingly insignificant decisions of today. And what does Paul say will happen when we put these things into practice? “The peace of God, which surpasses all understanding, will guard your hearts and your minds in Christ Jesus” and “the God of peace will be with you” (vv. 7, 9). This, he says, is his secret to being content during the good times and the bad. I don’t know about you, but having the peace of God guarding my heart and mind sounds pretty good to me! When we begin to think about “whatever is true, honorable, just, pure, lovely, commendable, excellent, and praiseworthy,” when we begin to rejoice and find joy always, in all things, even changing diapers and wiping noses, when we realize that it is Christ who is our strength and that He is always at hand, even during midnight feedings and parent-teacher conferences, when we show thankfulness for the daily gifts we so often take for granted and become content with what we have rather than always wanting something else, then our whole attitude starts to change. They are opportunities to serve. We serve our families, our friends, our neighbors, our community and ultimately our God. Before the last supper, Jesus took on the menial role of a servant and washed the disciple’s feet, telling them “If I then, your Lord and Teacher, have washed your feet, you also ought to wash one another’s feet. For I have given you an example, that you also should do just as I have done to you” (John 13). They are opportunities to grow. God is continually molding us to be more like Him. Remember, Jesus spent the first 30 years of his life with his family, in the synagogue, and learning to be a carpenter. The Bible says during that time He “increased in wisdom and in stature and in favor with God and man” (Lk 2:52). Just because you’re not doing “big things” for God right now, doesn’t mean this time is wasted. They are opportunities to reflect God’s love to the world. We have the opportunity to “shine as lights in the world,” especially when we “do all things without grumbling or disputing” (Phil. 2:14-15). This kind of thankful, joyful attitude reflects a love and dependence on God to the world around us, as well as to our own families and children. Changing diapers and cleaning the floor may not seem very important some times, but when we complete these tasks with an attitude of gratefulness, joy, contentment, service, and faith, we don’t worry about how important they may seem in other’s eyes, but how important they are in God’s eyes because he calls us to be faithful in all our responsibilities, and He will take care of the details. Next week we will talk about comparison as the enemy of joy. If you’re on Twitter, use the Hashtag #taketimetobestill or comment below or on the Facebook page to let us know what you’re learning this week as we continue our commitment to take time to be still and know God and find joy in life’s everyday moments! I am a firm believer that healthy foods don’t have to taste awful. That you shouldn’t have to suffer through eating something just because it’s “good for you.” Doing so causes two problems – first, it makes people more likely to avoid that food in the future, thus defeating the point, or it makes them feel like because they’ve “suffered” and eaten that healthy blah-tasting food, that they can now overindulge in junk foods because they’ve had their vitamins for the day. This has always been my experience trying to eat brown rice. I really wanted to like brown rice. After all, it’s higher in fiber and nutrients, and is digested more slowly, thus leaving you feeling fuller, and more satisfied, longer. But most brown rice I’ve had, even in national restaurant chains like PF Changs, has tasted awful. It’s like eating cardboard. It’s chewy, hard, and tastes undercooked. I wanted so much to like it, but no matter how long I cooked it, I couldn’t do much better than simply choke it down. I had nearly given up, until I came across this recipe on Pinterest from Saveur magazine. I added a few things to the cooking water (which I usually do with white rice as well, to give it a flavor boost) and it was AMAZING! 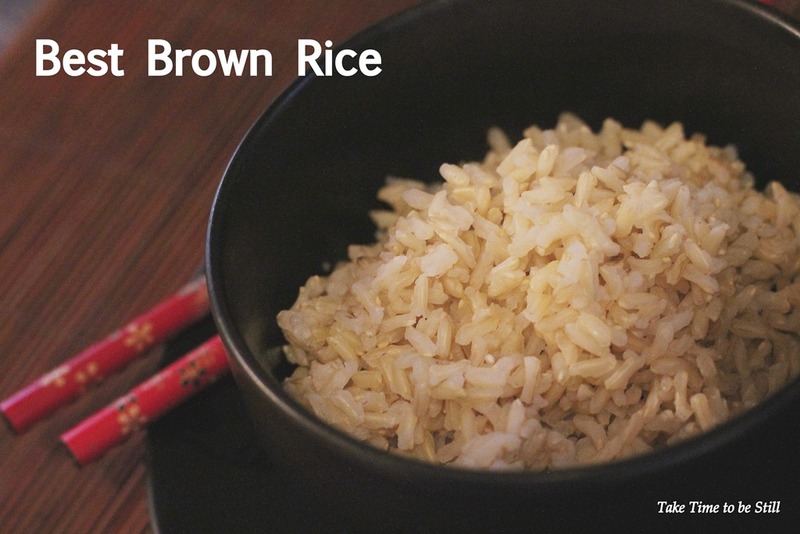 No more hard bits, no mushy, overcooked glop, just perfectly cooked brown rice. I now use this method every time I make brown rice and it is always perfect. My kids eat it up with no complaints and my husband often doesn’t even realize it’s brown rice instead of white. I can still taste a subtle texture difference between the white and brown rice, but it’s a good difference, like the difference between stick-to-the-roof-of-your-mouth white bread (yuck!) and a heartier bread made with whole grains. This method does take a little longer than regular white rice, so keep that in mind as you plan, but it’s well worth it! Begin by boiling 6-7 cups of water in a large stockpot (the original recipe calls for 12 cups of water, but I’ve found that only about half of that water is necessary for 1 cup of rice and still turns out perfectly cooked brown rice). While the water is boiling, put the rice in a colander and rinse under cold water for about 30 seconds. 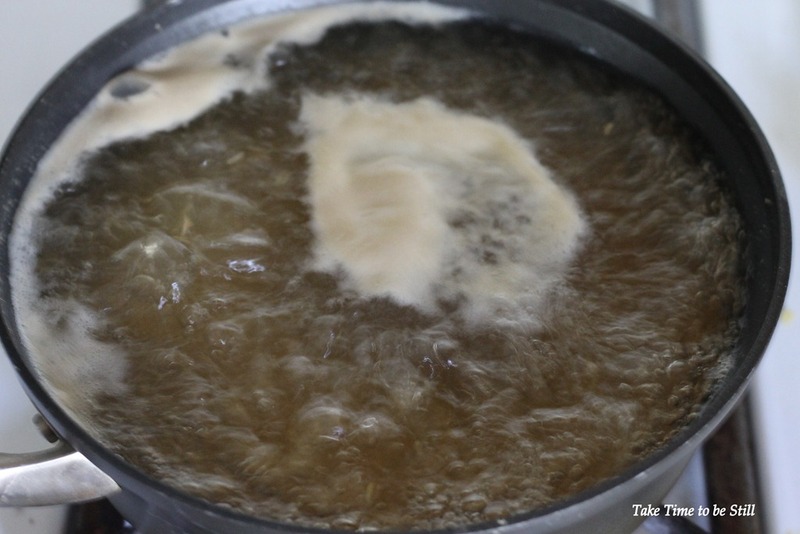 Once the water comes to a boil, add your chicken bouillon, garlic and onion powder and stir until the bouillon is dissolved. Add the rice to the water, stirring only once, and boil, uncovered, for 30 minutes. After the rice has boiled for 30 minutes, turn off the heat and pour the rice into a colander (if you use the same colander that you used to rinse the rice in the first step, be sure there are no uncooked pieces of rice still stuck in there – you don’t want to chomp down on one of those pieces, trust me!) and drain for about 10 seconds (don’t rinse). Return the rice to the pot and cover with a tight-fitting lid, and let the rice steam in the covered pot for 10 minutes. And that’s it! 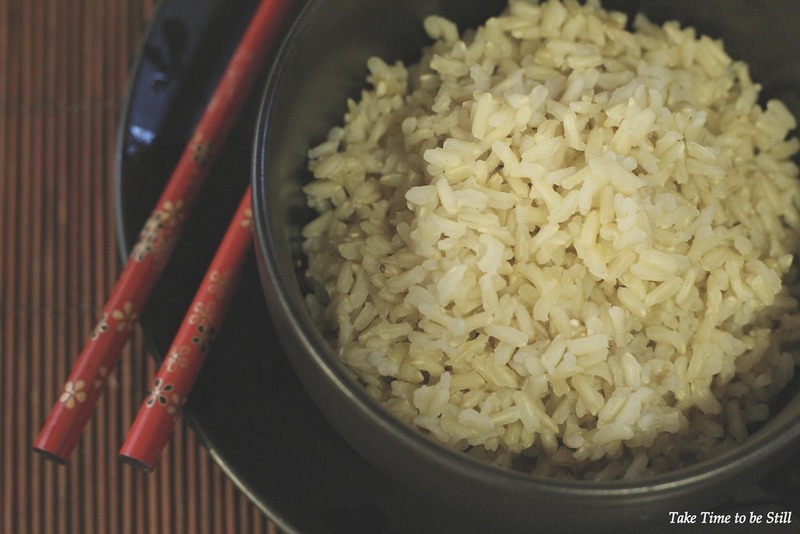 Fluff the rice with a fork, season with additional salt if you feel it needs it (I don’t usually), and enjoy your perfectly cooked brown rice! Bring 6-7 cups of water to a boil in a large stockpot (make sure it has a tight-fitting lid). Add bouillon cubes, garlic powder, and onion powder and stir until bouillon is dissolved. 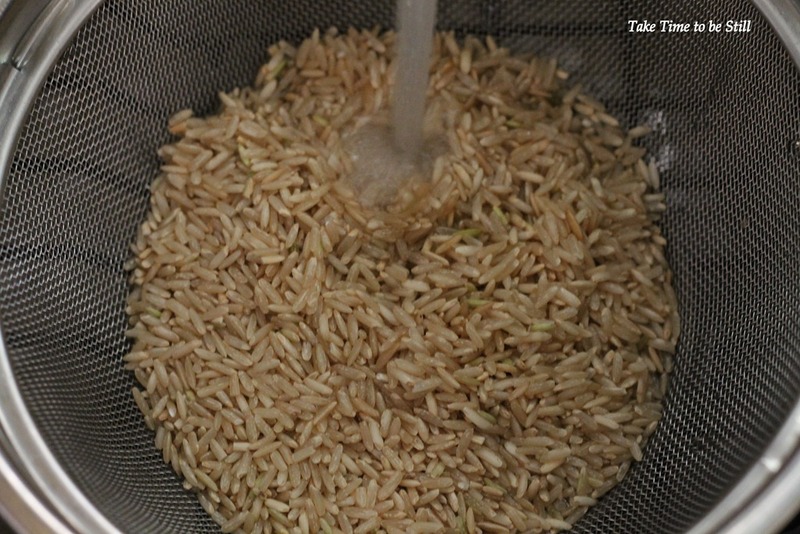 Rinse rice in a colander under cold running water for 30 seconds and add to the pot. Stir once, then boil, uncovered, for 30 minutes. Remove from heat and drain rice in a colander for 10 seconds. Return to pot, cover with lid, and let sit for 10 minutes while the rice steams in its own heat. Remove the cover and fluff with a fork, seasoning with salt if desired. There are three main areas I want to focus on in this blog. 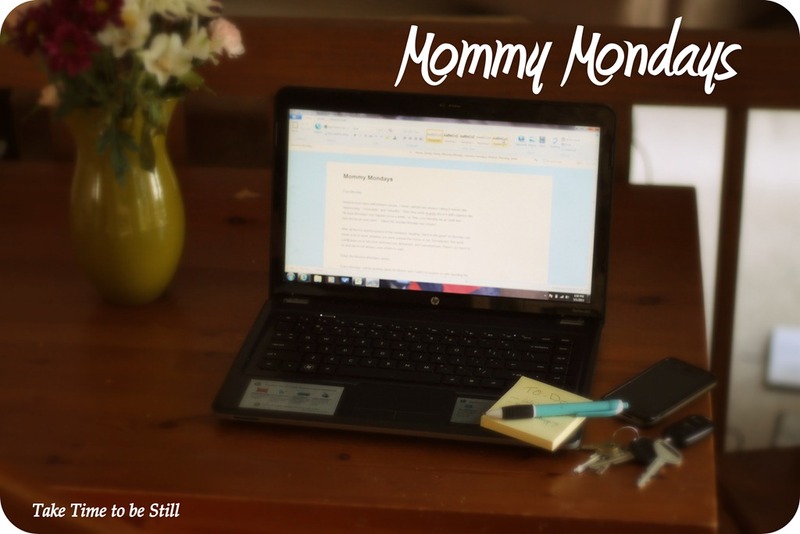 The first is the Mommy Mondays series, which gives practical advice for organizing and completing the everyday tasks of life as a Mom (or Dad!). The second is the Midweek Inspiration posts, which help us stop and take time to be still and reflect on God’s word. Next week I will be sharing one of our newest family traditions, Sunday Family Movie Nights, as well as a review of what may already be a familiar movie at your house, Cars. To stay updated on these and other posts, sign up to follow the blog via e-mail, on Twitter, Facebook, or Pinterest. 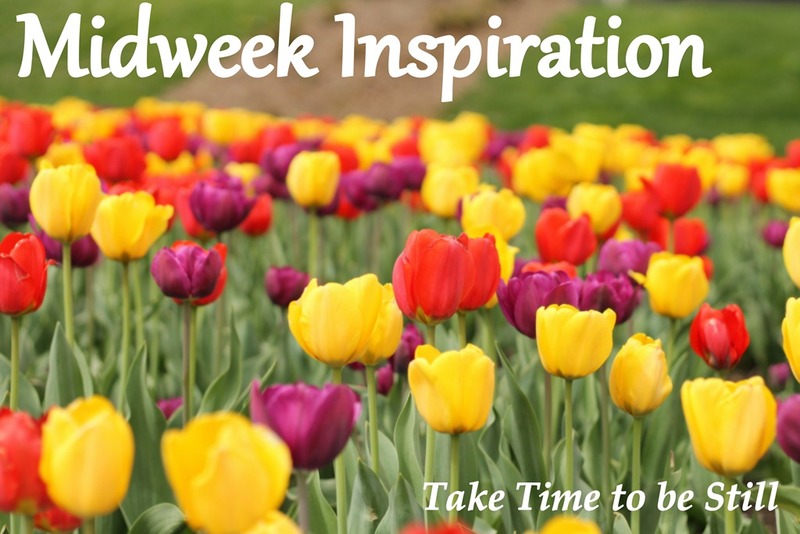 Midweek Inspiration is a series of posts with inspiration from the Word for your work week. I would like this to be a place where we can take a few minutes in the middle of our busy weeks, spend some time in the Word, and recharge spiritually. For this first post, I wanted to give you some background on the inspiration for the name of this blog, Take Time to be Still. The first is the one I struggle with the most. I always have a million things going on in my head at once, and just as many things on my to-do list, so even while watching a movie I’m still checking Facebook, working on the blog, checking student e-mails, figuring out what I need to get done tomorrow, folding a pile of laundry, and so on. It’s difficult for me, and I’m sure for many in our fast-paced world, to simply be still. To take that time to be still and focus on God. When we take the time to be still and know that He is God, the things on our to-do lists and the running commentary in our heads takes on new meaning. God isn’t waiting until our kids are grown and out of the house to start using us. He isn’t waiting until our finances are in order and we have extra disposable income to use us. He isn’t waiting until school is out for the summer, or we buy that new house, or we land that new job, or any other excuses or roadblocks we put up to serving God right here and now. Think about the disciples. When Jesus called Levi, he was sitting in his tax booth (Mk 2:14). Jesus didn’t wait until Levi got off work for the day. He called him right then and there, in the middle of his job, and said “Follow me.” When Jesus called Peter, Andrew, James, and John they were in the middle of fishing (Mt 4:18-22). Peter and Andrew were throwing their nets into the sea. James and John were mending nets with their dad. Jesus didn’t ask Zebedee if it was ok if the boys took some time off. He didn’t tell the men “well, once you’ve hauled in those fish and fixed things up, then I want you to meet me somewhere and we’ll talk, and if you like my proposal, then you can come be my disciple. You know, as long as it’s convenient…” No. Jesus said “Follow me, and I will make you fishers of men.” And you know what all of these men did? They followed. Right then. Right there. Immediately. Without hesitation. What is our response to the Lord’s call? Do we even hear His call amid the noise of everyday life? He commands us to “be still and know.” What if the disciples had ignored Jesus, being so absorbed in their work and all the things they had to do that they didn’t hear Him calling? Would Jesus have found others who were willing to heed His call and do the work? Probably. But Peter, John and Levi’s lives would have been much different if they hadn’t stopped and listened and obeyed, even in the middle of their busyness. Commit with me this week to take time each day to be still and know. Leave a comment below to let me know you’re making this commitment. If you’re on Twitter, use the Hashtag #taketimetobestill or comment on the Facebook page to let us know what you’re learning this week! Next week I will talk about the other side of this coin – finding joy in life’s everyday moments, and I’ll offer a few practical suggestions for putting these commands to be still and know into practice. When we are still and know that He is God, it’s much easier to find meaning and joy in the everyday tasks of life. So what about you? 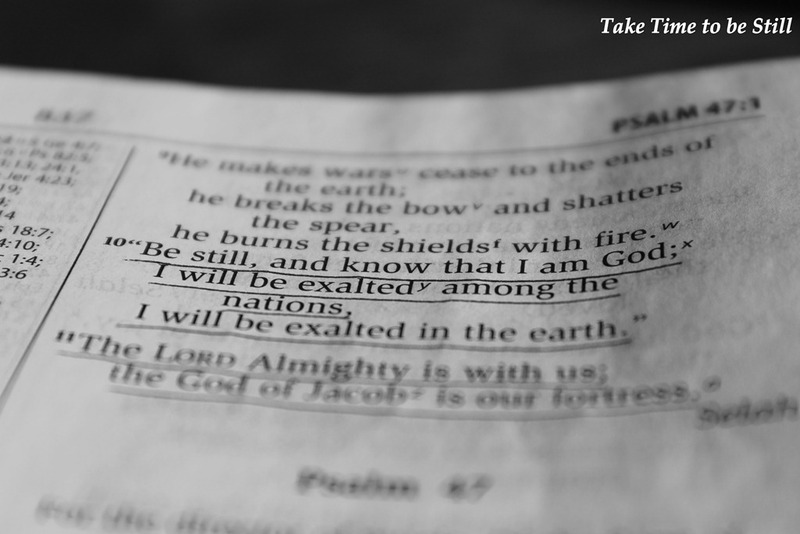 How do you find time throughout the week to “be still and know”? I think it must have self-esteem issues. I mean, people are always calling it names like “depressing,” “miserable,” and “dreadful.” Then they write ecards about it with captions like “At least Mondays only happen once a week,” or “May your Monday be as swift and merciful as an execution.” Yikes! No wonder Monday has issues! After all the fun and busyness of the weekend, heading “back to the grind” on Monday can mean a lot of work, whether you work outside the home or not. Sometimes, this work can6cause us to become stressed out, distracted, and overwhelmed. There’s so much to do and we’re not always sure where to start. Enter the Mommy Mondays series. I am really excited about these posts and hope you’ll join me for this series. And remember you can always subscribe to this feed or sign up for e-mail notifications so you won’t miss a single post! Welcome to Take Time to be Still! Thank you for visiting! This is my first post and I will be releasing more content soon so stay tuned!